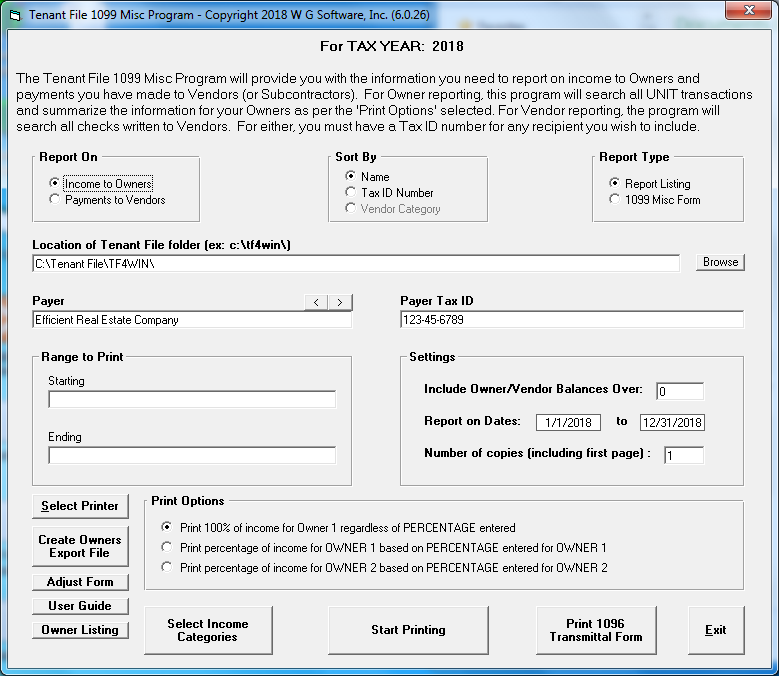 Tenant File 1099 MISC Program - You can create forms and reports for your Owners and Vendors! NOW WITH EXPORT CAPABILITIES! * The new Tenant File 1099 MISC Program is $49.95 for the first year and $29.95 for annual renewals. 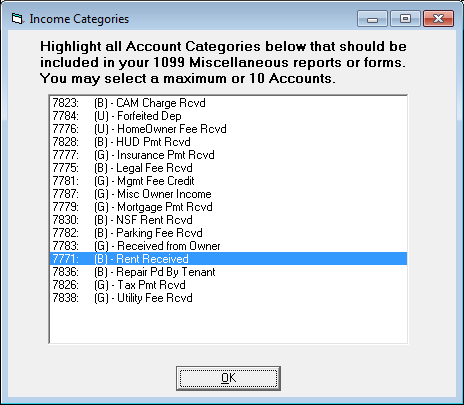 The 1099 MISC Program prints on the required IRS forms and creates reports for Owners or Vendors. The information is gathered between any two dates in the current tax year from your existing information. The Tenant File 1099 MISC Program prints 1099s for both your Owners and Independent Contractors. You can even export your data to a CSV (comma separated value) file for eFiling your information though a 3rd party. The main screen gathers all of the information needed to create your forms. Just browse to the location of your Tenant File database, and fill in the information on the screen. A second screen under the 'Select Income Categories' button lets you select the Income Accounts you want to use. This screen lets you choose the Tenant File accounts used to create your forms. 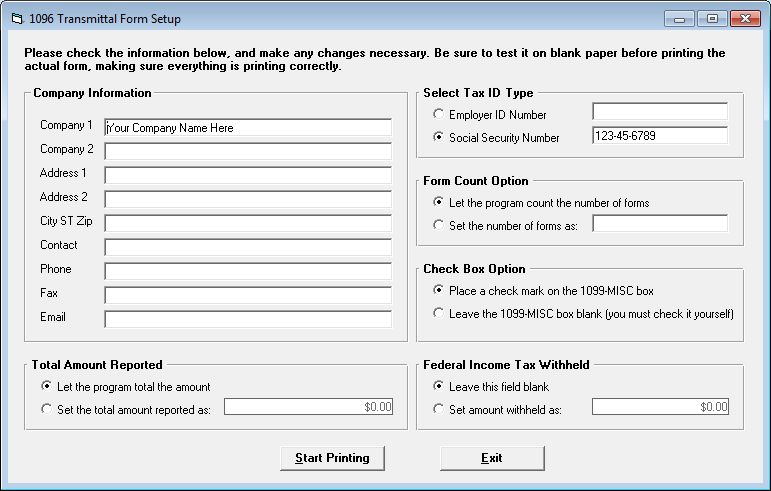 The transmittal form prints a summary of either your Owner or Vendor 1099 Forms. You can enter the data yourself if you wish.